I LOVE this dish. I’ll say it again. I LOVE this dish!!! It’s easy to make, lower in fat than most, it has four vegetables (broccoli, cauliflower, spinach, and tomato) and everything is coated in a light creamy, cheesy sauce. It’s mac & cheese for grownups but don’t you think kids would like this too? If they’re picky, use white cauliflower and they’ll never even see it. It’s soft and blends right in with the pasta. If you make it, let me know if it passes the kid test. It’s important to do all your prep first because everything cooks quickly. It won’t take long if you buy the already-cut vegetables but I cut all of the veggies myself and I also inspect the baby spinach for any bad leaves or thick stems, which I remove. The prep includes cutting the vegetables, checking over the spinach, shredding the cheese or slicing it really thin. Hey, you’ll be cutting the cheese! Speaking of cheese, please don’t buy pre-shredded cheese. It has an additive and will never melt as well as a block of cheese and I always use reduced fat (I use Tilamook brand). With reduced fat cheese and 1% milk, and all these vegetables… somebody needs to make this today. And send me a picture to post. (YourPhotos@JennyCanCook.com). 4 Comments on "Grown Up Mac & Cheese"
Hi Jenny! This looks delicious and I want to make it as a Thanksgiving side. Could I make this the day ahead and reheat in the oven? 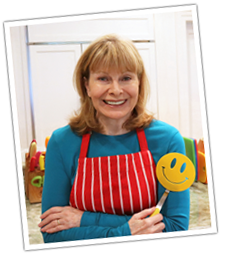 Thank you for all your recipes….I have tried many and never a failed one! Can you suggest what I could serve with this macaroni dish for a dinner for 6? 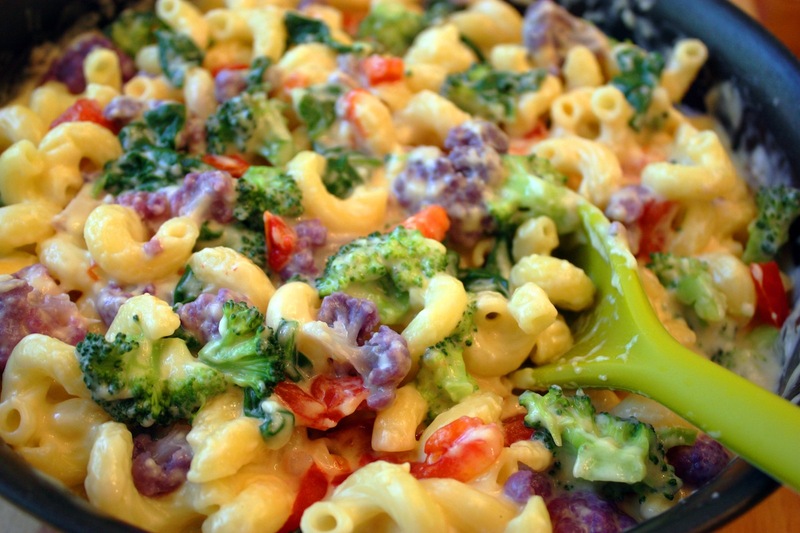 This veggie mac & cheese would make a good side dish with chicken or fish. Wow Jenny! This looks and sounds awesome. Thanks for this great recipe. We are having left-overs for dinner tonight but this is going to be on the table some day very VERY soon! Thanks again!